Over the past two months, efforts to introduce a bill in the Venezuelan National Assembly that could have paved the way for the entrance of transgenic seeds into the country met stiff opposition from the agroecology and ecosocialist movements, stopping Monsanto and other GM firms from getting a foothold in the country. These movements also managed to place the construction of a new seed law in the hands of the major stakeholders, and in particular, farmers and consumers. This essay will provide a detailed look at the current battle against transgenic seeds in Venezuela. In Venezuela, successful resistance to the privatization of seeds was made possible by what Venezuela scholar George Ciccariello-Maher describes as dual power, the leverage that popular power has in relation to revolutionaries at the highest levels of the state. The popular sectors include significant agroecology and ecosocialist movements. On account of their intense and rapid mobilization over the past month, the venue for deliberations on the Seed Law and overall seed policy has been extended from the legislature, where hasty action might have legalized transgenics, to the pueblo legislador, the people as legislators. What follows is approximately how events have unfolded. The ban on transgenics received further support when in June 2012, Chavez made the Country Plan (2013 – 2019) his campaign platform; it includes among the five major objectives, “the construction of an ecosocialist economic model of production based on a harmonic relationship between human and nature that guarantees the rational and optimal use of natural resources, respecting the processes and cycles of nature” (introduction). The Plan also prioritizes the expansion of agricultural production, but only in a way that advances the goal of food sovereignty (1.4) and accelerates democratic access to the necessary resources for sustainable agricultural production (1.4.2). The ink on the Country Plan hardly had been dry when Venezuela became a member of Mercosur (Brazil, Paraguay, Uruguay, Chile) in July of 2012, joining a commercial block that had already become major consumers of transgenic seeds. Although Venezuelans were by then consuming foods with GMO ingredients imported from Mercosur nations as well as other countries, this did not mean Venezuela automatically joined the transgenic seed club. Yet pressure was increasingly placed upon state actors to consider all options for increasing crop yields. In August of 2012, Minister of Agriculture and Land Yván Gil tried to put the issue to rest, declaring, “We have said that our position is firm; we are not in favor of transgenics. It is a matter of principle, in addition to being a complex issue. For now we have a long way to go with our conventional products.”  Two months later, the Monsanto lobby was hard at work in Caracas. In October 2012, Rafael Aramendis, Monsanto representative for government affairs for South America, the Caribbean and the Andian region, was introduced to the National Assembly by opposition deputy Ricardo Gutiérrez (Podemos, State of Portuguesa). Gutiérrez said that his party proposed a debate over the use of transgenics in Venezuelan agriculture. He urged that the subject “be managed as a state policy without prejudice.”  This initial effort was vigorously opposed by ecosocialists and agroecologists, and by overwhelming opposition by Chavista deputies in the National Assembly. But the story does not end here. Within months of Chavez’s death, the words of the “comandante supremo” in favor of ecosocialism and against transgenic seeds were again challenged in the halls of the country’s National Assembly by the introduction of a proposed Seed Law that reads like an eco-friendly document on the surface, even drawing the praise of some progressive pro-ecology news outlets. This praise is understandable because one of the proposed law’s general provisions clearly articulates a ban on transgenics. Some of its articles, however, particularly article 34, can be interpreted as providing a legal basis for the use of transgenics. This inconsistency poses serious concerns of a possible loophole in the bill. 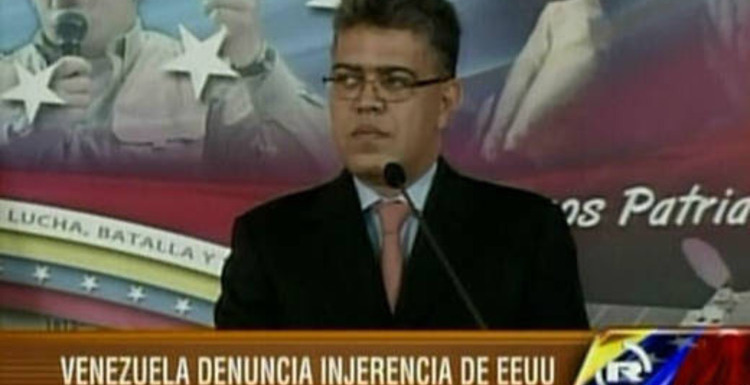 The ambiguous proposal was introduced not by some well-known champion of neoliberalism, but a Chavista legislator, PSUV deputy José Ureña. Since there was concern that the proposal was on a fast track for passage on October 22 after only one planned legislative debate, a broad coalition of ecosocialist resistance immediately weighed in on the issue. In a letter (dated October 19) from the National Front of Peasants and Fisherman Simon Bolivar, to Blanca Eekhout (Second Vice President of the National Assembly), the Front asked for a delay in the first discussion of the law by the legislative body. It argued that because of provisions that would legalize transgenic seeds, the proposed law “infringes on the fundamental principles that guarantees food sovereignty and security, as the seed is the very germ and commencement of the entire productive process; it also places at risk the Country Plan and the legacy of Comandante President Hugo Chavez.”  At the time this letter was sent, the National Front organizations were sure that the moment had arrived to define seed policy and they should be at the decision making table. No material of genetic origin or constitution with genetically modified organisms, imported or obtained inside the country, may be used (literally ‘liberated’) without the corresponding certification of biological harmlessness issued by the National Seed Institute. So while the general provision clearly bans transgenic seeds, article 34 seems to condition their use on a certification process. These concerns about the draft of the Seed Law were clearly resounded within the legislative chamber. Also, on October 23, during the morning radio program of Radio South, deputies José Ureña, Víctor Bocaranda (member of the Popular Revolutionary Movement Argimiro Gabaldón) and Ana Felicién (of the Movement for a Venezuela Free of Transgenics) participated in a discussion about the proposed Seed Law during which Ureña committed to referring deliberations on the bill to the public domain. On October 24, in a meeting called by Blanca Eekhout and other deputies, spokespersons for the Movement for a Venezuela Free of Transgenics made their case for the immediate broadening of the deliberations so that the Movement could impact the drafting of seed policy in particular, and agricultural policy in general. The aftermath of this meeting is, for the moment, a victory for agroecology inside Venezuela and the anti-transgenic movement worldwide. It is not likely that either the allies of transgenics within the legislature or other advocates of transgenics in the farming and business sector, will sway the agroecology forces in Venezuela; the latter seem convinced that democratic control over the means of agricultural production and the use of agroecology farming methods on small- and medium-scale farms is the best way forward towards food security, food sovereignty and the strategic goal of accelerating the formation of communes. This debate over seed policy in Venezuela has critical national and international implications. On the eve of critical municipal elections and in the midst of the manipulation of supply by major food distributors, Venezuela is on the front lines of a significant resistance in South America against the ingress of transgenic seeds and in defense of the traditional semilla compesina. When the authors visited Venezuela during the summer of 2013, they witnessed an all-out effort to increase agricultural production, using agroecological and organic farming methods, both in urban and rural areas of the country. Ecosocialism in Venezuela is part of a diverse worldwide movement that despite philosophical and political differences is still united in opposition to use of transgenic seeds and in support of agroecological farming. In the US, growing concern over GMOs in the food supply have led to two referendums (California in 2012 and Washington in 2013) that have called for labeling food to indicate the presence of GMO ingredients. These referendums were, however, defeated at the polls — no doubt with some help from corporate financed media campaigns. On October 21, 2013, the European Network of Scientists for Social and Environmental Responsibility issued a statement that they “strongly reject the claims by GM seed developers and some scientists, commentators, and journalists that there is a ‘scientific consensus’ on GMO safety and that debate on the topic is ‘over’.”  On November 28, 2013, in Malvinas, Argentina, demonstrators were violently attacked for blocking construction of a Monsanto seed-drying plant. In Colombia, a nationwide agricultural strike two months ago lasted 21 days, resulted in the killing of twelve peasants, the wounding of hundreds, and the arrest of over six hundred protesters. The government finally met with strike organizers and agreed to suspend the Law 970 which had given the government control over seeds. In Mercosur nations of Paraguay and Brazil there is also continued resistance to the use of transgenic seeds. In many of these cases civil society has been largely excluded from deliberations about agricultural policy. A notable exception to this trend is Venezuela, where the peasant voice is having a major impact on the shaping of the Seed Law. William Camacaro, MFA, is a Member of the Bolivarian Circle of New York “Alberto Lovera” and an expert on Venezuela. Authors’ note: All translations of the Spanish into English are by Frederick B. Mills. Translations of government documents are unofficial. Olivier De Schutter, United Nations Rapporteur on the Right to Food, offers this summary of agroecology: “[Agroecology] improves agricultural systems by mimicking natural processes, thus enhancing beneficial biological interactions and synergies among the components of agrobiodiversity. Common principles of agroecology include recycling nutrients and energy on-farm rather than relying on external inputs; integrating crops and livestock; diversifying species and genetic resources in agroecosystems over time and space from the field to landscape levels; and focusing on interactions and productivity across the agricultural system rather than growing large plots of single crops.” Olivier De Schutter. Food First Backgrounder. Institute for Food and Development Policy. Summer 2011. V. 17 (2). See also, Fred Magdoff (2 Jan. 2007). Ecological Agriculture: principles, practices, and constraints. Renewable Agriculture and Food Systems: 22(2); 109–117. George Ciccariello-Maher (2013). We created Chavez: A people’s history of the Venezuelan revolution. Durham: Duke University Press. Aporrea. http://www.aporrea.org/desalambrar/a150934.html. See also http://venezuelanalysis.com/news/474. Schiavoni, Christina and Camacaro, William. “The Venezuelan effort to build a new food and agricultural system.” The Monthly Review, July-August 2009. V 61 (3). See also Gregory Wilpert (2007). Changing Venezuela by taking power. New York: Verso, pp. 79-80. Hernandez, Katiuska. “Gobierno descarta uso de cultivos transgénicos.” El Nacional, 08 10, 2013. http://www.el-nacional.com/economia/Gobierno-descarta-uso-cultivos-transgenicos_0_242375989.html#.UgcJ6BoNojU.twitter. Ovalles, Diana. “Monsanto Entró a Venezuela por la Puerta de la Asamblea Nacional.” Aporrea. October 26, 2012. Accessed December 6, 2013 http://www.aporrea.org/contraloria/a153057.html. Seed Law Project, 25 Sep 2003, Caracas. http://www.scribd.com/doc/177524847/LEY-DE-SEMILLAS-DOCUMENTO-DEFINITIVO-DEL-25-DE-SEPTIEMBRE-DE-2013-pdf. “Venezuela Goes for Ban on GM Seeds.” Nation Of Change. June 2, 2013. Accessed December 6, 2013. http://www.nationofchange.org/venezuela-goes-ban-gm-seeds-1370186417. “Comunicado del Frent Simón Bolivar.” Frente Simón Bolivar. October 19, 2013. Accessed December 6, 2013. http://www.scribd.com/doc/178117459/COMUNICADO-DEL-FRENTE-SIMON-BOLIVAR-pdf. “Venezuela: Ley semilla, Ley del pueblo.” News release. November 18, 2013. Accessed December 6, 2013. http://www.creadess.org/index.php/informate/noticias/noticiero/23659-venezuela-ley-semilla-ley-del-pueblo. Venezuelalibredetransgenicos. “Comunicado.” News release. October 21, 2013. Accessed December 6, 2013. http://www.scribd.com/doc/178059281/COMUNCIADO-21-OCT-pdf; “Ley De Semillas, Material Para La Reproducción Animal E Insumos Biológicos.” In Bolivarian Republic of Venezuela. Accessed December 6, 2013. http://www.wipo.int/wipolex/en/text.jsp?file_id=235638. “Proyecto de Ley de Semillas.” laguarura.net. Last modified September 25, 2013. Accessed December 6, 2013. http://laguarura.net/wp-content/uploads/2013/10/LEY-DE-SEMILLAS-DOCUMENTO-DEFINITIVO-DEL-25-DE-SEPTIEMBRE-DE-2013.doc. Ibid. “Ley de semilla, Ley del pueblo.” News release. November 18, 2013. Accessed December 6. Conversation of Gabriel Pool with William Camacaro, Dec. 3, 2013. Parilli, María Beatriz. “Apenas el 25% de la superficie agrícol es utilizada en el país.” Última Hora. March 5, 2013. Accessed December 6, 2013. http://www.fedeagro.org/detalle5.asp?id=1717. “No Scientific Consensus on GMO Safety.” European Network of Scientists for Social and Environmental Responsibility. October 21. 2013. Accessed December 6, 2013. http://www.ensser.org/fileadmin/user_upload/ENSSER_Statement_no_scientific_consensus_on_GMO_safety_ENG_LV.pdf. 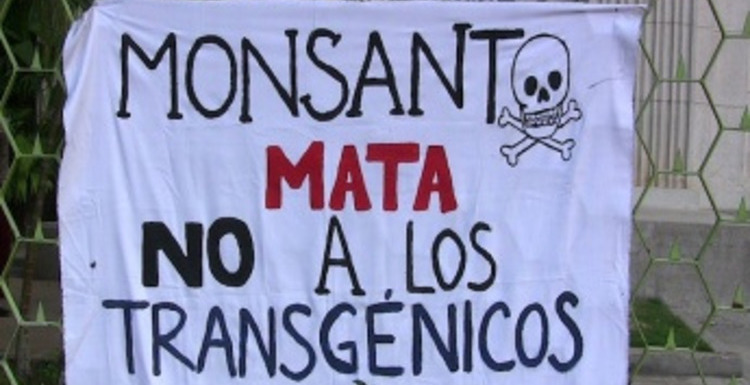 “Anti-Monsanto Protest Attacked in Argentina.” Weekly News Update on the Americas. December 1, 2013. Accessed December 6, 2013. http://weeklynewsupdate.blogspot.com/2013/12/wnu-1201-anti-monsanto-protest-attacked.html. Andy Higginbottom, “Colombia Campesino Farmers Popular Strike – A Challenge to Free Trade Agreements (FTAs),” Stabroek News, last modified October 7, 2013, http://www.stabroeknews.com/2013/features/in-the-diaspora/10/07/colombia-campesino-farmers-popular-strike-a-challenge-to-free-trade-agreements-ftas/; “National Farmers and Social Strike Gets Seeds Control Law 970 Suspended,” last modified September 15, 2013, http://therealnews.com/t2/index.php?Itemid=74&id=31&jumival=10722&option=com_content&task=view. See Marie-Monique Robin (2008). The world according to Monsanto: pollution, corruption, and the control of our food supply, an investigation into the world’s most controversial company. New York: The New Press. ← Infrastructure Without Foreign Investment: Can Brazil Afford Economic Growth?